Located at Rawatbhata in Rajasthan, the Rajasthan Atomic Power Station (RAPS) was the first facility in India to operate pressurized heavy water reactors (PHWRs). RAPS' Unit-1 was built as a 220MWe CANDU PHWR and constructed with Canadian assistance. 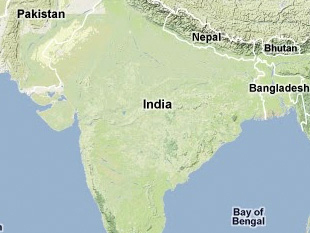 Although Unit-1 began commercial operations on 16 December 1973, the construction of Unit-2 was delayed when the Canadians withdrew their assistance after the nuclear test at Pokharan in 1974. However, Unit-2 eventually commenced operations in April 1981 as a 220MWe capable PHWR. In 2000, two additional PHWRs began commercial operations at RAPS. The new facilities, Unit-3 and Unit-4, were developed indigenously and generated energy at a 220MWe capacity. Although Unit-1 has experienced numerous problems over the years due to leaks, cracks in the end-shield, and turbine blade failures, the 29-year-old reactor appears to be running at a 100MWe capacity after recent repairs. Unit-2 just underwent a seven-month all inclusive coolant channel replacement and is reportedly operating at 200MWe. The Unit-1 and Unit-2 PHWRs at RAPS fall under International Atomic Energy Agency (IAEA) safeguards. As of February 28, 2003, RAPS' accumulative generation since it began commercial operations was 41,159 million units (MUs). Unit-1 accounted for 11,445 MUs, Unit-2 for 21,940 MUs, Unit-3 for 4,224 MUs, and Unit-4 for 3,550 MUs. Four additional PHWRs are currently in the pipeline at RAPS. According the Department of Atomic Energy of India, Unit-5 and Unit-6 will have a 220MWe capacity and be ready for operations in 2007. Unit-7 and Unit-8 are reported to be 500MWe PHWRs and may be ready by 2011-2012. "Annual Report 2001, Table III: Facilities Under Agency Safeguards or Containing Safeguarded Material on 31 December 2001," International Atomic Energy Agency (IAEA), www.iaea.org. Arunkumar Bhatt, "Atomic power station to be decommissioned," The Hindu (Chennai), 19 February 2002, www.hinduonnet.com. DAE (Government of India), "Annual Report 2000-2001," www.dae.gov.in. DAE (Government of India), "Annual Report 2001-2002," Executive Summary, www.dae.gov.in. "India: Nuclear Infrastructure," Carnegie Endowment for International Peace, 1998, www.ceip.org. "Rajasthan Atomic Power Station," Department of Atomic Energy (Government of India), www.dae.gov.in. "Rajasthan Atomic Power Station," Nuclear Power Corporation of India Limited, www.npcilraps.com. "Rajasthan Atomic Power Station: The Pride of the Nation," Public Information Bureau (Government of India), http://pib.nic.in. "Rajasthan Atomic Power Station (RAPS)," Nuclear Power Corporation of India Limited, www.npcil.org/docs.